Nowadays Elizabeth Olsen is one of the most in-demand Hollywood stars. For a long time, the actress remained just the younger sister of the famous Olsen twins, but she could come out of the shadow of her close relatives. The girl became famous for the roles in the films Liberal Arts, Kill Your Darlings and Oldboy. But the actress has become a real star when she played the role of Scarlet Witch in the movies based on Marvel comics. Elizabeth Olsen was born in February 1989 in the small town of Sherman Oaks, located near Los Angeles. The girl's father, David Olsen, was a mortgage banker, and mother Jarnette Fuller was a former ballet dancer. In addition to Elizabeth, the family brought up an older brother, James Trent, twin sisters Mary-Kate and Ashley. The marriage of the parents broke up when Elizabeth was six years old. Later, her father married again. In his second marriage, he had a girl, Taylor, and a boy, Jake. Elizabeth studied at an ordinary school, attended classes at the theater studio, was fond of singing and dancing. The future movie star was not easy because she was always in the shadow of her sisters, who actively filmed since the early years. They gained worldwide popularity thanks to the shooting in the comedy It Takes Two and became the most recognizable twin actresses. Elizabeth studied under the name Chase to avoid questions about the famous sisters. It is the middle name of the Olsen children. The girl also made her movie debut quite early, at the age of five. Together with her sisters, she filmed in commercials and took part in the video for Carlotta’s single "The Queen." But she was disappointed with acting and wanted to become a ballerina. A few years later, Elizabeth was fascinated with the Russian theater and decided to become a movie actress. She was not eager to accept the directors’ proposals, at first she wanted to attend a high-quality actor training, that's why she enrolled at New York University's Tisch School of the Arts. When she was a sophomore student, the young woman got a role in the play Impressionism. In 2009, Olsen studied in Moscow at the Moscow Art Theatre School through the MATS program. The girl also attended Atlantic Theater Company. 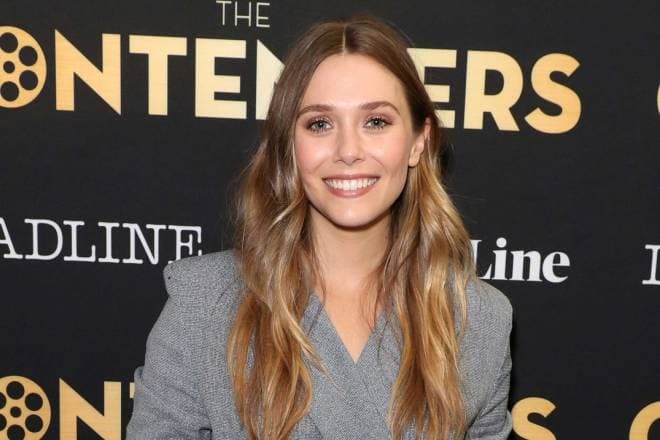 Elizabeth Olsen appeared in the comedy How the West Was Fun in 1994, but later the young actress had a long career break. She restarted her career only in 2011, and it was quite successful. Three films with the participation of the actress, the horror film Silent House, the drama Martha Marcy May Marlene and the comedy Peace, Love & Misunderstanding, were released. The same year Elizabeth participated in the shooting of the movies Liberal Arts, Very Good Girls, and Red Lights. She worked with Robert De Niro, Sigourney Weaver, and other stars. In 2013 Olsen appeared in the films Oldboy, Kill Your Darlings with Daniel Radcliffe and in the film version of the novel “Thérèse Raquin” by Émile Zola. She played in the 30th film of the Godzilla franchise, shot in 2014 by Gareth Edwards. The same year, the movie Captain America: The Winter Soldier with her participation was released. It was the first time when Elizabeth appeared as Scarlet Witch. But then the actress played only in a cameo role, and her name was not mentioned in the credits. In 2015, the young actress pleased viewers with the appearance in the film Avengers: Age of Ultron. This time, Elizabeth became a cast member. Initially, Wanda Maximoff (Scarlet Witch) stood against the Avengers, but later she realized that she was wrong and, together with her brother, Quicksilver (Aaron Taylor-Johnson), defended the planet with a team of superheroes. On the set, Olsen worked with Chris Evans, Scarlett Johansson, Robert Downey Jr., and others. In 2016, the actress played Scarlet Witch again in the next film Captain America: Civil War based on the Marvel comics. According to the plot, there was a disagreement between the Avengers, and it fractures the heroes into two opposing factions – one led by Tony Stark, who agreed to sign a treaty controlling superheroes, and the other by Steve Rogers, who advocated freedom for the Avengers. The rest of the team also split into different groups. 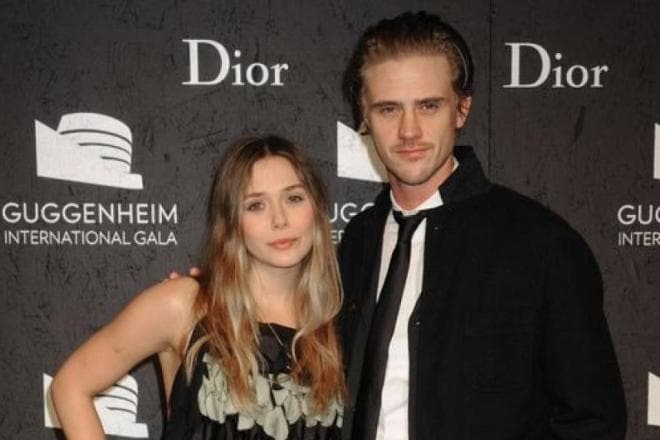 Elizabeth Olsen had a relationship with colleague Boyd Holbrook. She met him on the set of the film Very Good Girls. They started dating in September 2012, and in May 2014 the couple announced an engagement. Holbrook, who is seven years older than Olsen, decided to follow all the traditions and asked her father for the beloved girl's hand in marriage. Fans waited for news about the wedding, but in January 2015, Elizabeth and Boyd broke off the engagement. A few months later, there was a rumor in the press that the actress dated Tom Hiddleston. The colleagues had romantic feelings after working in the film I Saw the Light, where they played a married couple. They did not comment on these speculations for a long time, but later Elizabeth said in an interview that she and Tom were good friends. Journalists just saw the celebrities in the wrong place, at the wrong time. Olsen and Hiddleston came out of the restaurant, where they had supper. After that, the press wrote about a non-existent love affair. There were also rumors about the woman’s relationship with Jeremy Renner. But they were groundless too. 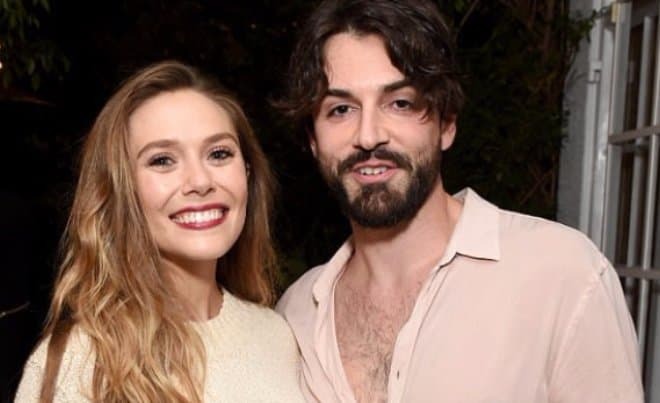 Since 2017, Elizabeth has been dating musician Robbie Arnett. She periodically posts photos with the lover in the personal Instagram account. So, in March of 2018, the young woman wished Robbie a happy birthday, posting their picture. Elizabeth's best friend is actress Dakota Fanning. They studied together at New York University. Later they appeared together in the film Very Good Girls. The women have sisters who also play in movies. It is known that Mary-Kate and Ashley named one of the lines of clothing - Elizabeth & James after their sister and brother. The actress never had idols among the movie stars. But one day Elizabeth made an exception to the rules for the actress, Michelle Pfeiffer. The girl returned to the acting career because of Pfeiffer. In January 2017 Elizabeth's filmography included a leading role in the thriller Wind River. The young woman portrayed an FBI agent, Jane Banner. Olsen’s partner on the set was a colleague in Avengers, Jeremy Renner. The same year, the actress, together with Aubrey Plaza appeared in the film Ingrid Goes West. Aubrey played the role of a mentally unbalanced girl, Ingrid, who manically followed her idol, Taylor Sloane. As a result, the girl decides to go to Los Angeles to be closer to the social media influencer and even becomes her friend. Elizabeth got the role of Taylor. In September 2017, the drama Kodachrome was released, and the young woman played one of the title roles again. The actress worked with Bruce Greenwood, Ed Harris, Jason Sudeikis, and others. In May 2018, viewers saw their favorite actress in the new film about the Avengers titled Avengers: Infinity War. Olsen returned to the role of Scarlet Witch. According to the story, Thanos decides to acquire all Power Stones to gain overwhelming power. As a result, the Avengers forget past offenses and unite to fight the enemy threatening the universe. The creators gathered all significant characters in one film. Besides, fans are shocked, because there is information on the Internet that in this series some superheroes will fall in battle.